Justine Clark collects the award. Photo: Nic Granleese. 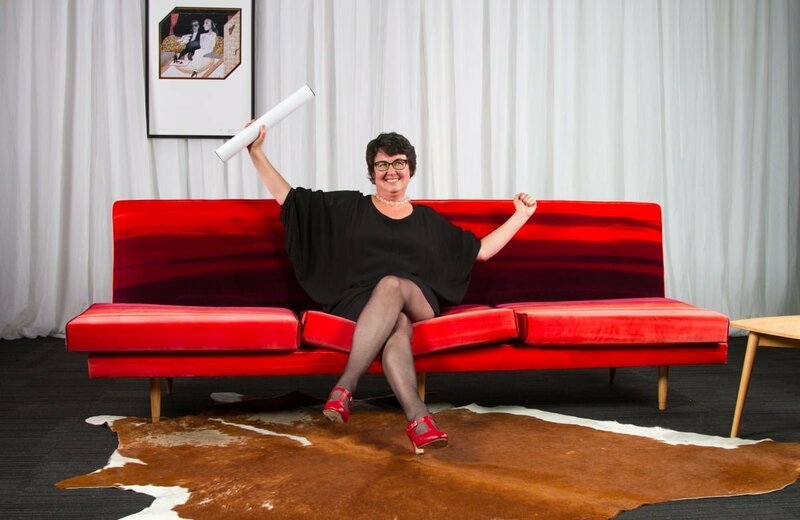 The Parlour Guides to Equitable Practice is a comprehensive resource providing guidance for the architecture profession in issues regarding equality. Parlour illustrates eleven difficulties that commonly challenge women, but far from being a document targeting women alone, it recognizes that gender-based issues are diverse and affect everyone. The guide addresses individuals, practices, and the wider profession as collective agents of change. Parlour identifies key workplace topics, makes a case for why it matters, and offers positive strategies for complex problems. In each section, issues such as pay equity, flexibility and career progression are put under the microscope, and links to additional resources help further the conversation. The wide reaching press coverage in both Australia and abroad highlight the potential that this guide can have on redefining architectural practice. 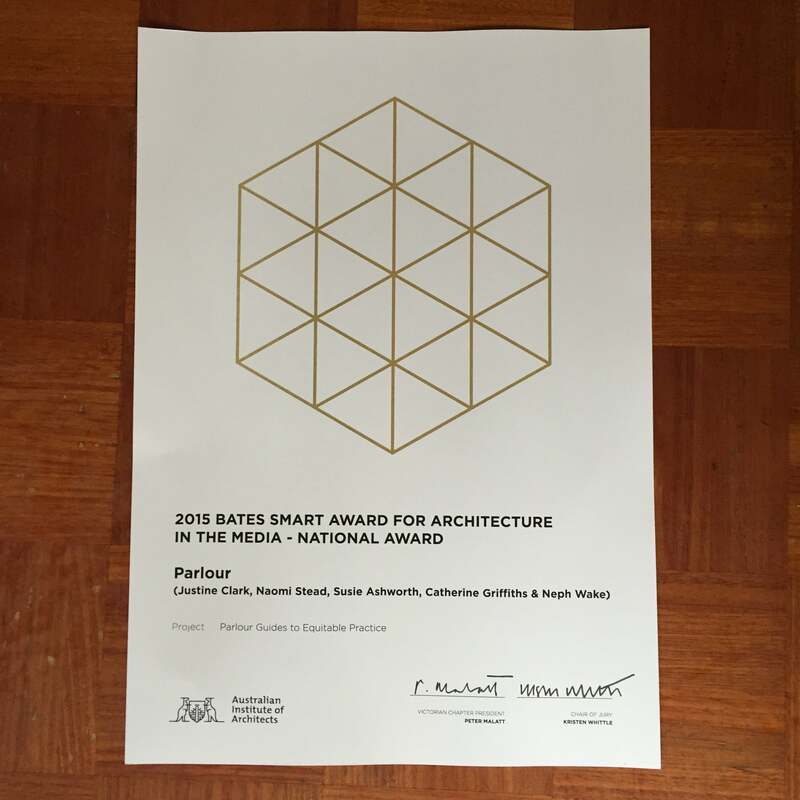 The Jury was unanimous in awarding the Parlour Guides to Equitable Practice the National Award. The guide comes at a time of crucial time of change within the profession, and amidst this climate it is an important and valuable tool. This resource will help facilitate a positive transformation, and push architecture towards inclusive and sustainable practices. Producers: Justine Clark, Naomi Stead, Susie Ashworth, Catherine Griffiths & Neph Wake. Download the Parlour Guides here.